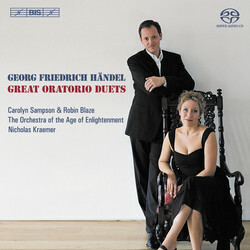 Gramophone: outstanding; International Record Review: outstanding; Klassik Heute 10/10/10. 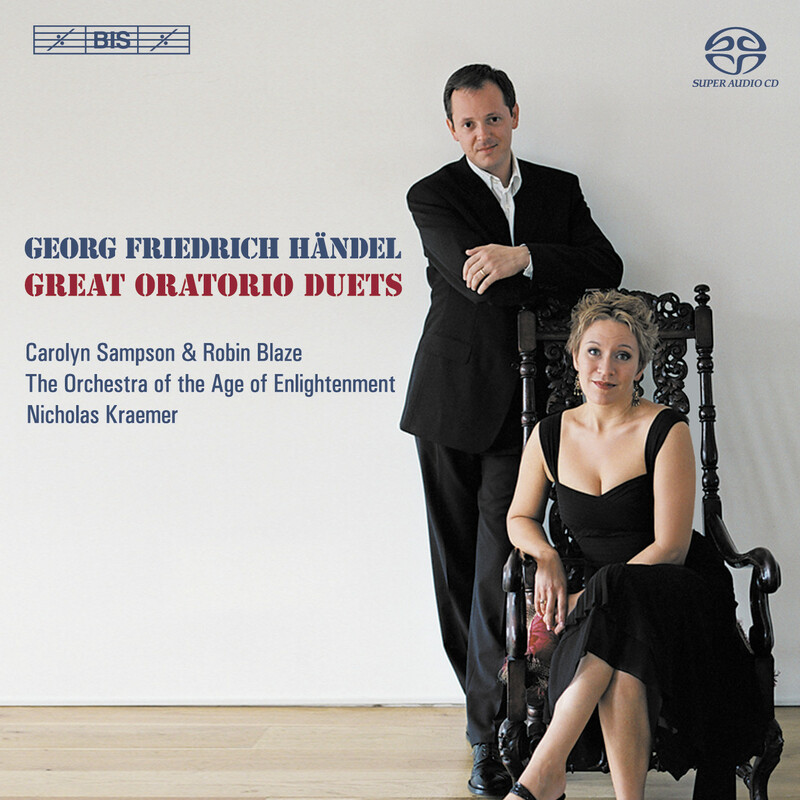 Pure delight: two of Britain’s most exciting singers together with one of the most vibrant of the English period bands, in a collection of wonderful duets from Händel’s English oratorios and odes. Both Carolyn Sampson and Robin Blaze collaborate with Masaaki Suzuki in his recordings of Bach Cantatas, for which they are receiving high praise. ‘Sampson's rounded, lyrical, glowing tone is just what I want to hear in the warm-hearted soprano cantata O holder Tag’ said the critic in International Record Review about BIS-CD-1411, whereas The Times, UK, has described Robin Blaze as being ‘blessed with a most alluring countertenor – creamy in tone, naturally expressive, exquisitely controlled…’. These qualities certainly all come to the fore in this selection of duets which, while mainly gathered from religious works, focus on that general subject of interest: Love. Love between husband and wife, between Kings and Queens, between lovers, between conqueror and vanquished. In the course of this string of melodious pearls flow streams of pleasure, great victors are greeted and freedom smiles – all depicted with wonderful charm and feeling by Sampson, Blaze and The Orchestra of the Age of Enlightenment conducted by Nicholas Kraemer.